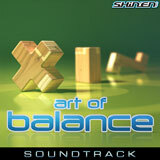 Art of Balance Soundtrack. Pay what you want. Game soundtracks can be quite expensive, but at Shin'en you set the price yourself and support your favorite indie developer! Instant download after payment. No restrictions on the number of devices you can copy the soundtracks to. Download high-quality VBR MP3s and/or master-quality FLAC files. Choose a currency and use the slider to set your price. Or, you could just enter a custom amount. $1 minimum.